I am writing this on the last year of 2010, reflecting a little on all that's happened. One of the greatests successes has been sending our toddler to occasional care, run by our local council. 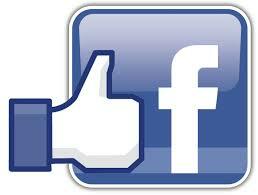 I am happy to highly recommend Knox City Council, Tyner Road Occasional Care. We have sent our toddler there for a few hours every week for most of the year. It has provided much respite for myself during the week - I have to admit I have never come home to catch up on housework during these times. The hours have been spent, happily fulfilling my desires for window shopping, which inevitably lead to my desire to shop and find a bargain. I am a much happier mum after these little times to myself, so worth every penny. Our son, although struggled with separation initially, also loves going there. In terms of his food allergies, I have always supplied all the food for our son while at childcare. Although they provide fruit, it was safer for me to prepare all his food for fear of cross-contamination, even with fruits that he simply had not tried yet. Now, he can probably eat all the fruits they supply, but the year is over, and we will be heading to a new childcare centre once I return to work part-time. They always gave me a quick call when they were not sure - they asked me before they blew bubbles, before they did finger painting, before they applied sunscreen. All this reflects that they did understand how serious his allergies are and that his sensitivities extend beyond what has been tested for. Contrast this to another centre I visited that asked me to list all the foods he had sensitivities to... that would be a VERY LONG list... and reflects very little understanding. Needless to say, we won't be going back to that other centre. There is liberty in knowing that someone apart from yourself and your husband is able to look after your children. Of course the next step is being able to trust another person to prepare our son's food. We'll face this step next year as our son enters childcare for a full day and where his food will be prepared by the centre. 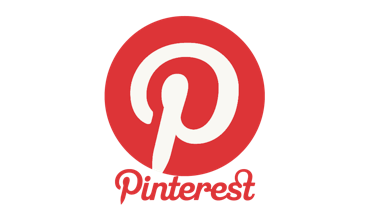 Look out for future posts on our upcoming experiences. I'm hoping to be able to put another positive post on future childcare. Most of these products use Rice and Corn, with some golden syrup or honey for added flavour. Be sure to read the ingredient list yourself when you buy it. Don't just trust me... I'm just here to give you ideas of where to look, so you don't have to spend hours scouring the supermarket shelves. Try it in small amounts only first to see whether there are any reactive allergens. Biscuits - Orgran make a range of animal bisuits with some added vanilla. We've tried the chocolate ones, because apparently cocoa is less likely to cause a reaction than chocolate. My son didn't eat much of it though - mainly smeared it all over a friend's toys... oops. Orgran make a heap of rice and corn pastas, but the only problem is they're more delicate and don't taste as nice when heated up for another meal. But, if you combine it with a sauce it probably isn't too bad. I only put melted Nuttelex with it, so it was a little bland. There are quite a number of other brands that do rice/corn pasta, just check in your local health food shop. Polenta is a pure corn option which is classified as a carb, rather than a vegetable. This works well when cut into cubes for small fingers. Many asian grocers will sell rice noodles, but I haven't tried them yet on my son since I wasn't sure what their quality control would be like. If you've had a good or bad experience with these, I'd be interested to know. Tinned corn kernels or baby corn spears. Risotto balls - I used to make a sticky rissoto with rice, chicken mince, pumpkin and zuchinni, I'll put a recipe up soon for this, with some photos of how to make the balls so little fingers can pick it up easily. 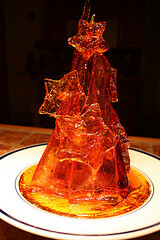 Christmas tree - just sugar! Check out these recipes - they essentially contain sugar - no additives! The things allergy mum will go through to give their kiddos a treat... Good on ya Mums! Since about the age of 6 months, our toddler has had to have monthly weigh-ins with our local nurse because he just wasn't putting it on like other kids. Before 6 months, he'd been tracking pretty average. But at average height, his weight gain slowed down significantly and he was around the 3rd percentile in weight - that's right down the bottom of the charts they give you. At 21 months, we've finally stretched our weigh-in appointments to 3 monthly since he's now about 15th percentile. When I told my mum this, she got so excited... "out of 20, that's really good!". No mum, it's 15 out ot 100, but yes, it is still pretty good considering where we've come from. One of the first things that helped was to see a peadeatric allergy dietician. Our son's head circumference continued to grow, and this is one of the most important factors in measuring growth. Once children hit the age of 3, the head stops growing. So if their head size isn't growing now, then there can be problems that last a life time. Although our son wasn't growing in height as much, he could still make up for any deficiencies when he hits adolesence. Weight... well he has his whole life to stack that on! So taking into account that our son's head was growing fairly normally, and his mental and physical development seemed to be growing in leaps and bounds, there was no cause for alarm. Keeping all that in mind, we still had to take action to increase his weight so that he has some sort of health buffer should he fall sick or lose his appetite, plus to make sure his growth does continue. 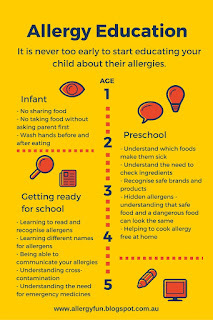 Some of the ideas we've used will sound totally wrong to some people, but the rules are different when your child has allergies, and the rules are different when they're super skinny and need to put on weight. One of the simplest ways to increase calories was to add Nuttelex (a non-dairy margarine replacement) to our toddler's food. 6 teaspoons a day was what we started off with. Fortunately for us, our son actually liked eating spoonfuls of the stuff, probably because of the slight saltiness. I cook nearly all his foods in it, and often finish off a meal with a spoonful of it, especially at dinner. Believe it or not, we were also told to add sugar to his food. Yes, that's right. When you think about it, it's not that bad. Our son can't have any jams or other spreads, so instead, I mix up a teaspoon of Nuttelex with a teaspoon of sugar, and there you have it, one high-calorie spread! I know sugar isn't good for your teeth, but eating it at mealtime is Ok. You just don't want them sucking on sugar throughout the day - that's what gives you decay. We give our toddler meat/fish/beans twice a day. I never buy lean meat - but try and choose cuts with some fat. Chicken legs and chicken wings are great options. Also, did you know that chicken thighs have 3 times the iron levels than chicken breast? Makes sense when you think about the difference in taste and texture. The first course in his meals is usually a protein. Second course is carbs - potato/rice/pasta/polenta. Third course is sweets - sweet cereal and sometimes some fruit. You'll notice I haven't put any vegies in his meals. Sometimes he has vegies with his meals - corn or chickpeas (which both have a higher carb level). But typically I only give vegetables for morning and afternoon tea. That's because I don't want him filling up his stomach with low-calorie foods, and definately not at dinner time. Our dietician suggested a vitamin supplement called Pentavite, but we haven't seriously tried it yet. So yes, restricting veg intake sounds contrary to most people, but our main aim is weight gain, not weight loss. As adults, we often say to fill up on veg to lose weight... so we're doing the exact opposite, and it seems to be working, little by little. This is an area which I found interesting. Apparently there is a balance between glucose and fructose in some foods that lends themselves to be more of a laxative. If we want to put on weight, we definitely don't want foods going straight through if you know what I mean. In contrast, if you want your kid to be a little more regular, then perhaps these are food you should consider! For us, we had to limit watermelon, pears and honey. So very much to think about every day and every meal, but it's certainly paid off. If I see a bit more of a chubby cheek or chubby arms, I get so very excited! Baby steps, meal by meal, our little boy is growing bigger and stronger. Hooray! Going out is always extra work when you have a toddler with allergies, but speaking from my own experience… the extra work is worth it! There’s nothing worse than being confined to your home day after day for fear of the outside world. We don’t go out nearly as much as we used to pre-baby of course, but here are some tips I’ve found helpful. So far, we’ve never ordered food from a restaurant for our toddler. The number of foods he can eat is still very limited and the risk of cross-contamination is simply too high. Nothing would spoil an outing like having to ring 000. 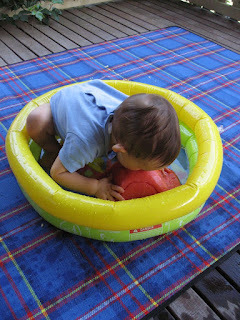 Instead, I pack lots and lots of small containers of different foods – something like a degustation menu for a toddler. That makes it sound very fancy huh?! Unlike other products, especially baby/toddler products I’ve looked at, there is little contamination when it comes to tinned foods. The foods I use only have one or two ingredients which means I know exactly how my child will or won’t react. You don’t have to heat it up then cool it down, and you can carry small tins with you for some of those emergency situations. The main idea behind this list is it’s food my toddler can eat without too much assistance. The smaller the pieces, the longer it takes for them to eat it, thus the longer time I have to actually consume my meal and also enjoy the company. You get the idea – sometimes I mix a couple of tins together, add some chopped tomatoes and chopped avocado, and you have an instant salad. Mind you, these last two ingredients tend to lend themselves to a messy toddler at the end, but it’s still quick and pretty healthy when you think about it. Dermaveen Oatmeal wash – supposed to help sensitive skin, but would have made it worse since he was actually anaphylactic to oatmeal! Just as well he didn’t swallow too much of the bath water. Bepanthen and Cetaphil – Both these baby creams had almond oil or other nut oils in them. Why do they do this when many babies are sensitive to this kind of stuff?!?! Bonjela Teething gel – contains alcohol! Matthew came up in a rash pretty quick around the mouth – to be expected, since I’m allergic to alcohol. Who makes this stuff?! Should’ve read the label more carefully… now I read and read again, just to make sure. Sudocream – actually rang the helpline and they reassured me there are no nut oils used. Hallelujah, a cream we can use! QV Oil and Dermeeze – both of these are manufactured oils which makes the naturalist in me resistant, but the reality now is the more manufactured it is the better, since our son’s allergies are to so many things natural! And so far as food additives and preservatives – I just laugh when people say “oh no, that has MSG in it…” I don’t know what his reaction to MSG is yet, but I’m pretty pretty sure it will be nothing compared to his reaction should he taste all the “healthy” alternatives with milk and egg in it. Give me additives and preservatives any day. I’ve always loved birthdays and treasure the pictures throughout my childhood with me and my cake… oh and friends and family of course! To celebrate our son’s first birthday I had to think very much outside the square since he couldn’t eat any wheat, egg or milk. 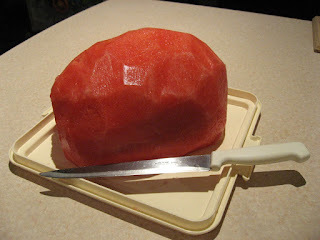 He hadn’t even tried gelatin yet so jelly was out of the question. 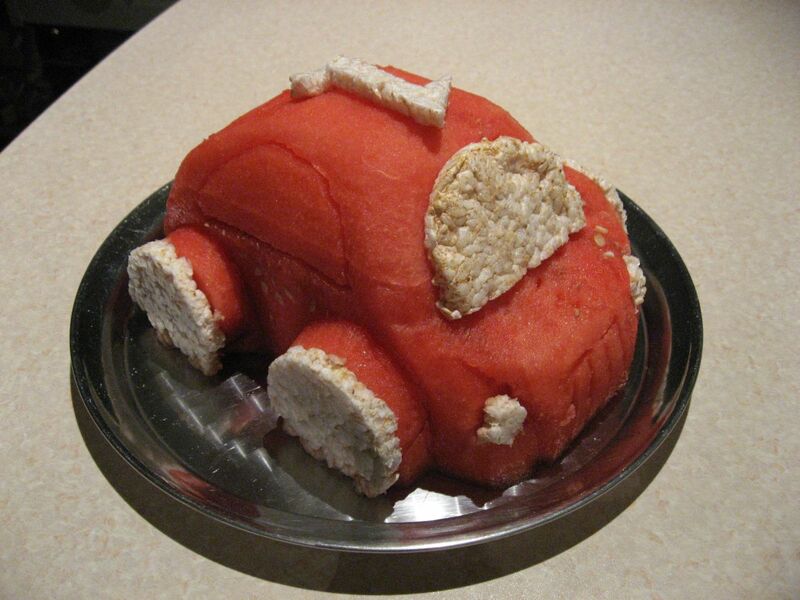 transformed into a Big Red Car with rice crackers as wheels! It did get very messy so all celebrations were done outside but our son loved it – he got to have his cake and eat it too. The best part is we discovered a new food for him – rice crackers with watermelon smeared all over it – a great alternative to jam! 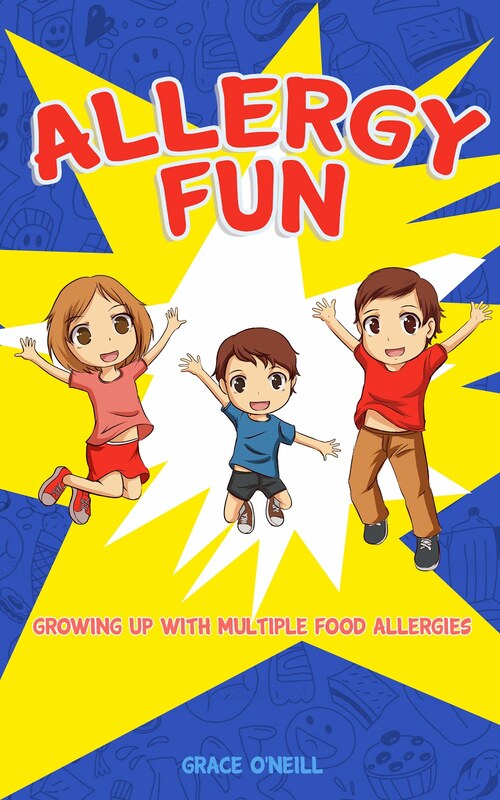 My son was diagnosed with Anaphylaxis to milk, eggs, peanuts, all tree nuts, oats, sesame, shellfish and wheat at the age of 9 months. Yes, that’s all the basic food allergies you come across… lucky us hit the jackpot! Saying that, I’m so thankful that we made it to the age of 9 months with only one health scare. Thankful too that we found out his allergies two days before we went on Christmas holidays to rural Australia where medical assistance would have been a joke. His allergies were so severe that I had to restrict many foods I ate since it would pass through the breastmilk. I ended up breastfeeding until 17 months mainly because it took us that long to find an alternative. He was even allergic to soy milk at the age of 1 but thankfully grew out of it. I was restricted to a dairy equivalent of one latte coffee a day and a wheat intake equivalent of one slice of bread a day, along with no more fried eggs or seafood for Christmas. After we came back from holidays, I saw a dietician who specialises in childhood allergies. I can still remember being completely dumbfounded when she explained that my son’s diagnosed allergies probably also meant he was allergic and possibly anaphylactic to just about everything else. Don’t try tomatoes, mushrooms, onions, oranges, even other types of white fish– he’s probably allergic! Thankfully after 18 months she suggested we try some of these foods and we've had quite a few successes! 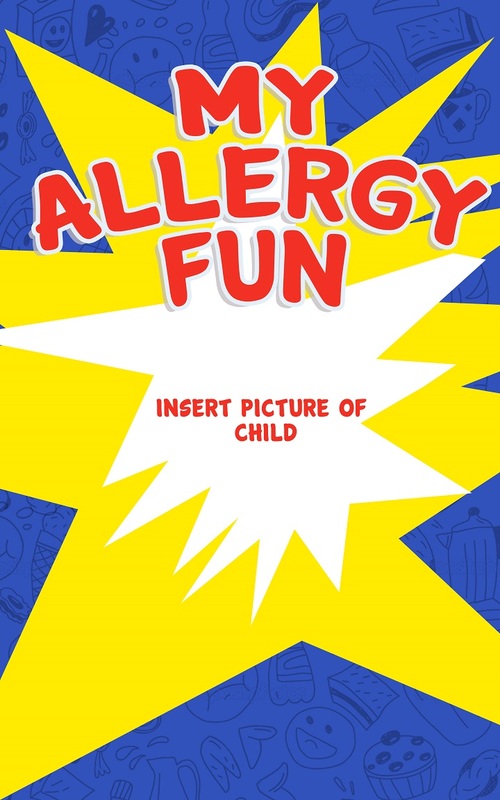 When a friend of mine first told me her son was anaphylactic to milk, I scoffed at the idea of having to avoid foods which could have a “trace of milk/nut/whatever else”. No, I wouldn’t let that worry me if I was in her situation. After going through our own experience, I see how naïve, ridiculous and insensitive that was. Sorry! As our Dietician said to me, “don’t worry about feeling you are neurotic about your child’s food. You have to be neurotic.” So there, I AM neurotic. I have to be neurotic for my son’s sake. And it’s not just the possibility that my son might die a horrible death that makes me neurotic… it’s everything in between, from having to suffer an itchy rash or diaorreah for a few days to what life would be like if he was unable to breathe for some time and became brain damaged as a result.